Tiles are the most obvious material homeowners and contractors turn to for a new bathroom or bathroom remodel. Tiles are durable, and easy to clean, which are perfect qualities for the room of your home that deals with plenty of splashes, spills, condensation, and personal care smudges. Cement tiles offer all these key features and more; they are even more resilient and hard-wearing than ceramic tiles and come in a wide variety of styles to help you design a beautiful bathroom space all without any major remodeling. To begin, let’s take a look at the different places where cement tiles can be used in a bathroom. The floors in your bathroom are a perfect place to install cement tiles since they can hold up to constant use. The bathroom walls aren’t spared from splashes and splatters and cement tiles can make your walls resistant to water damage, mold and mildew, and very easy to clean with a swipe of a cloth and some warm water. The shower needs to be able to combat mold growth and prevent water from wearing down the structure of the floors and walls. Cement tiles will keep your shower dry and in tip top shape without mold and staining. 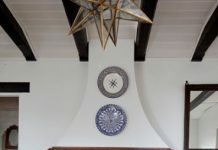 Along with the different places you can use cement tiles in the bathroom, there are even more ideas to design and create with them. 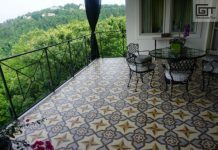 Cement tiles come in just about any color you can think of. In your bathroom, use a couple of different cement tile colors and patterns to create a graphic statement on a wall or in the shower. Use two colored cement tiles to create a striped pattern in the shower, or diamond or rectangle shaped dual toned cement tiles to create a wow-factor geometric statement piece. Make an unexpected statement in the bathroom by designing the floors as the focal point rather than the walls. Choose cement tiles in a flashy pattern and tile the floor and potentially the shower floor to create an interesting focal point. Even small bathrooms can benefit from some color and it’s not something to shy away from. 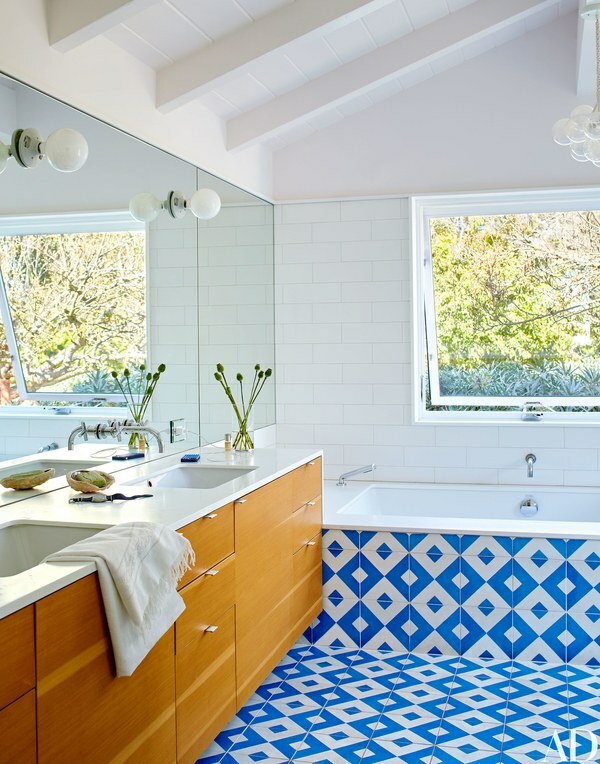 Think vibrant tiles and brightly colored patterns on the floor, walls, or in the shower. Light colors make a small room look larger and brighter, and larger bathrooms have more options like vibrant colors and deep tones. To add interest and a variety of textures, you can use various tile shapes in different colors. The different tiles can separate the dry areas of the bathroom from the shower and allow a variety of shapes and colors to accent the space. Stick with the same color family in different shapes and sizes to create a cohesive, expansive look. The bathroom floor is an excellent place to play with tile trim and unique borders. An idea is to install tiles on the walls and the base trim, with a different set of tiles on the floor with a strip around the exterior. The unique combination of tiles on the walls and floor can make any size bathroom look stylish. Decorating your bathroom with the same tile on the floors and walls is a simple way to make a wow-worthy statement. It gives the impression of a luxurious, contemporary hotel and can make other features stand out, like the sink and vanity. In an otherwise simple bathroom, you can fake your own architectural detail by installing cement tile around the vanity and mirror. Whether the vanity is flush against the wall or set in its own nook, wrap tiles up the wall from the floor, flanking the vanity, and drop down the ceiling to create a charming feature. The watercolor illusion is made using the same shaped tiles in a variety of shades of the same color. Think fresh blues and earthy greens, or neutrals like grays and creams. The result will be completely one of a kind. Spas generally focus on serene neutrals, soft colors, and avoiding busy patterns and too many variations. To create a clean, consistent look that inspires serenity, adhere to the less is more rule and tile all the walls with one tile and a neutral grout. You can completely transform your bathroom and give the illusion of an expensive total remodel with cement bathroom tiles and some artistic styling. 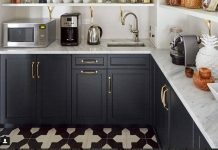 Granada Tile carries a full line of cement tiles in different colors and patterns, and offers the opportunity for buyers to personalize and design their own custom tiles. Get in touch with us today and tell us all about your bathroom upgrade plans!